Handlebars on your bike are for more than relaxing your hands or turning your ride. With the Helios Bars, you get to turn your bicycle into a smart bike. Helios has a 500 lumen headlight and rear facing LEDs that visualize your speed. It has 2 turn signals, so you can ride safely on the road. 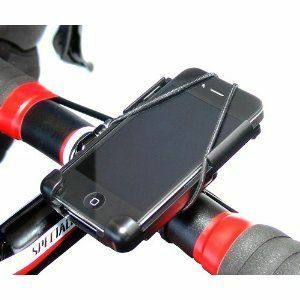 Helios Bars offer GPS tracking and let you track your bike via SMS from anywhere in the world. Helios connects to your smartphone using Bluetooth 4.0 and allow you to view your stats, control color and intensity of your lights, and more. Helios Connect is the companion app for this product. Helios Bars can determine how far you are from your bike and turn the headlight on/off. The ambient lighting can be customized using 9 different colors. You don’t have to incur any monthly fees to use Helios. The GPS module included can last for up to 15 days, so you will have ample time to track your bike. The Helios handlebar is elegant and turns any bike into a smart bike. It will set you back $199.